There are many reasons why most writers prefer a Mac over a PC. The prominent one is this: compared with any platform, Mac app store has more writing apps. These apps offer a non-distinctive writing environment, writing-oriented features and support — which you can’t find in Pages or Google Drive. Many writers will tell you that the text editor are not important, and you should just write. Although, this could be true for some people, I don’t believe in it. Text editors really help to get best out of you. For example, with Scrivener you can keep a track of character development, while Vellum is the best choice for exporting eBooks. You can’t find these advance options in basic text editors like Word or Google drive. The past week, we have been trying out the best writing apps for Mac, from every possible category. Below, we have the ultimate showdown of these apps, based on what they offer and what they don’t. After reading this article, you will have an idea which writing app you should use on your Mac. We have tried almost every sort of writing app, so that you will have the best choices for casual writing and a better one for fiction. Ulysses is not an alternative to Word or Pages, however, if you need a simple writing app with support for markdown and seamless editing, you can count on Ulysses. As far as the design is concerned, Ulysses is quite minimal. There aren’t any toolbars or button-rich sidebars. That having said, you can access basic formatting options from the writing interface. Probably the best thing about Ulysses is project management and content organization. From its Attachment tab, you can add labels, insert images and even set up a Writing Goal. The overall workflow of Ulysses for Mac is impressive enough. All the features are arranged in a distraction-less manner. In addition to that, the full-screen mode brings absolute freedom for writing. Ulysses also does a great job when it comes to Publishing section. You can always export to formats like PDF, DOCX, HTML and Text. In addition to that, you can connect your WordPress and Medium accounts for direct publishing. The program also takes care of timely backups for your writings. There are options for hourly, daily & weekly backup options you can explore. In addition, there is iTunes sync to make sure that you don’t lose writings due to sudden shut-downs or crashes. However, it’s worth noting that Ulysses is pretty stable and you won’t have to worry about crashes. Ulysses is available for macOS and iOS, with cross-device sync. 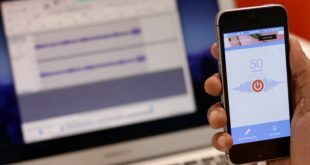 You can access anything you write on a Mac from your iPhone or iPad. While there is no free version, all versions offer 14-day Free Trial. In the iOS version of Ulysses, you miss some features like Minimal Mode. Ulysses has a subscription model, priced at $4.99 per month. You can pay annually to save some money too. It’s also available via Setapp. 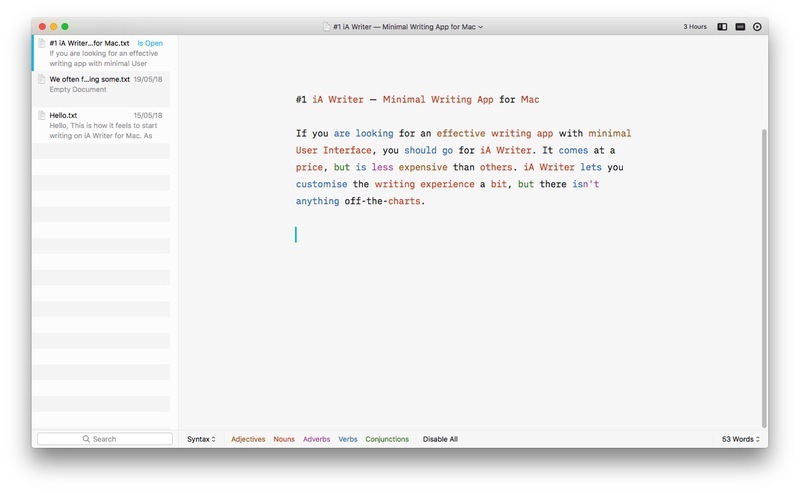 iA Writer is a wonderful choice when you are looking for an ultra-minimal writing app for Mac. Compared to Ulysses or any other app in the list, iA Writer has kept the minimum number of advanced features. On the other hand, it focuses on writer-centric options like syntax highlighting and easy formatting. If minimalism is a throne, iA Writer will be its king. Everything has been kept so minimal, and users can have the sidebar removed. Of course, there is a full-screen mode, which provides better focus. You can also shift to a Night Mode, where everything becomes dark. The best thing about iA Writer is that you can stay focused all the time, highlighting only the things you want. It feels really easy to blend into the workspace offered by iA Writer. All your writings can be accessed from the sidebar, and the writing interface is big-enough. Although not comparable with Ulysses, iA Writer offers standard customization options too. Coming to publishing and exporting, Ulysses and iA Writer are on the same boat. You can directly publish to Medium or WordPress, or export files to PDF, DOC, TXT etc. All the writings are automatically saved to and synced with iCloud. Still, iA Writer allows you choose other library locations as well. However, unlike Ulysses, iA Writer does not offer customizable backup options. It’s just that all your writings will be synced with iTunes on a regular basis. It is actually great since iA Writer has apps available for Android and iOS. iA Writer is available for Mac, Windows, Android and iOS, offering almost the same features everywhere. 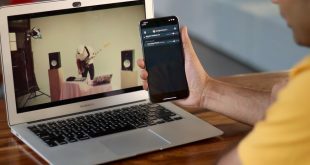 Of course, you won’t have iTunes sync in Windows and Android devices. But, you can access all your writings via your iPhone or iPad. 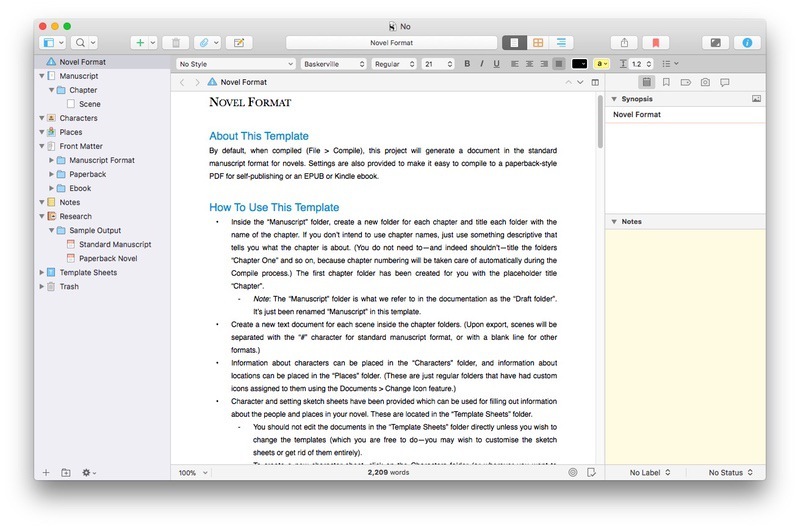 iA Writer Pro for Mac costs $19.99 while the iOS version has a price-tag of $4.99. It, however, offers a free trial for all the platforms. 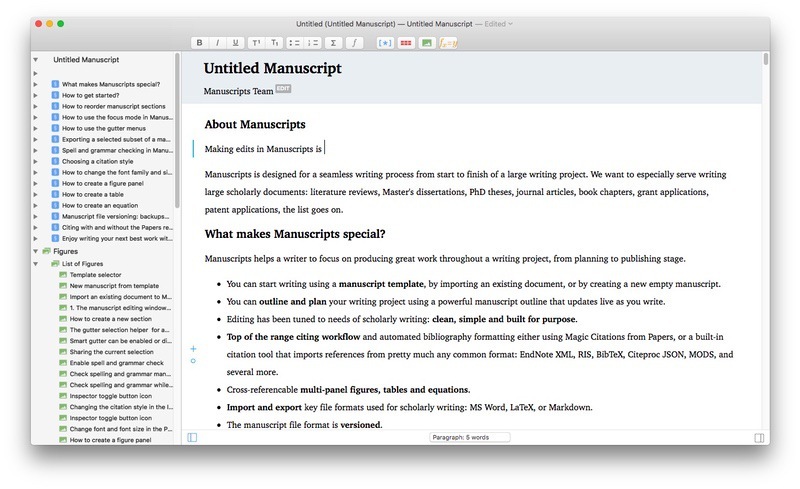 Unlike Ulysses and iA Writer, Manuscripts is a writing app with a specific purpose — scholarly writing. It lets you simplify a Herculean task of following the formatting style, keeping track of references and lots of other things. Of course, you can use Manuscripts for writing blog posts and normal fiction content, but it has the best performance when it comes to a Dissertation or Research Paper. Manuscripts has a fully-fledged interface, which is a requirement when it comes to scholarly writing. You will have access to the basic toolbars on top, and the sidebar helps for easy navigation. The USP here is simple: Manuscripts has been designed exclusively for academic writing and the job is done neatly. You can choose from popular templates and set up preferences even before you start writing. If you are an academic scholar, you will really love the workflow offered by Manuscripts. Things are simple, but organized from the very start. For instance, before writing, you can choose the Citation style, word count limits etc. Manuscripts lets you export the academic writings into formats like PDF, Word, Text, HTML and more. This is where Manuscripts disappoints most users. In both of the tools we mentioned above, there was support for iCloud Sync or third-party backup. However, Manuscripts does not offer any kind of backup options. In case of sudden crashes, your data will be lost, which is a problem. Since the app isn’t available for any other platform, there is no room multi-device access either. Manuscripts is available for macOS only and it’s a completely free to use. If you ask us, Manuscripts has been designed for research enthusiasts and academic writers. There is a powerful community of writers behind this tool, which is great. The developers also say that Manuscripts will be made open-source in 2018. At the end of the day, no matter how much you use, you’ve to pay nothing. Scrivener is the perfect tool if you are looking for professional writing solutions. It has been made to write both fiction and non-fiction. But, most people use Scrivener for writing novels, screenplays and scripts. You can simply choose the template and start writing with this app. This tool does not rely on minimalism or the focused writing. Rather, its focus is on productivity. Scrivener was not designed with simplicity in mind. On the other hand, it has a design suitable to help you create a novel, from scratch to publishing. Depending on the type of writing, you can have more templates and control over content. The best part about Scrivener is that it has tools for keeping track of characters and scenes without having to go back and read. In terms of workflow, we’d say Scrivener is more like Manuscript. You can start a document by choosing one template and make changes to that in the long run. When it comes to exporting, Scrivener has a lot of options — apart from common formats like Word and PDF. You can also export your novel into a Kindle eBook or an ePub-based eBook. Scrivener has dedicated options for backup, synchronization and overall security of your writings. You can set up sync between an external storage drive or your mobile device. It will be using Dropbox for sync, which is great. It also has Auto-Save feature so that crashes won’t be a problem. Altogether, the security aspect of Scrivener is impressive enough. This is the big deal: Scrivener is available for macOS, Windows and iOS. You can have your writings available on all these devices. As far as the pricing is concerned, Scrivener costs $45 for the Standard macOS license. You have to purchase separate licenses for Windows and iOS. However, on Windows and Mac, you can try the software for 30 days before finalizing. The cool thing is that it’s 30 days of actual use, meaning, if you use it only two days a week, it lasts fifteen weeks. Notebooks does exactly what you would expect from its name. You can use this writing tool to create many notebooks and store all your notes inside. It’s a great way to organize notes and journals. Compared to Ulysses, Scrivener or any other tools we’ve covered, Notebooks does not have a minimal UI. There are a lot of features to check out, in organization department, though. Although not minimal, Notebooks has a non-distractive design. There is a sidebar on the left, where you can manage notebooks and other files. While starting up, you can choose a central Library folder. The USP here is that you have better organization of your documents, be it PDFs, Excel files or something else. This is truly a great feature when you are preparing some serious notes. The writing interface of Notebooks resembles a notebook, with proper ruling. Once written, you can turn to the Formatted View mode to see how the document looks like. The lack of customization is a problem here, though. By default, Notebooks writings are saved as plain text, but you can export to many formats like PDF. Unlike Ulysses or iA Writer, Notebooks does not offer publishing integration. Like all other tools above, Notebooks too has auto-save feature, but the program does not backup anything. It’s really a problem, since you have to rely on local storage only. It’s quite disappointing that the developers have not included iCloud sync, especially when its iOS version has it. 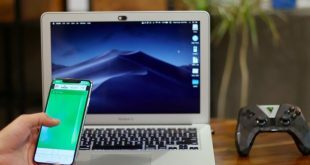 As far as syncing goes, you have to use Notebooks Server, which is a custom WebDAV server for syncing between Mac and iOS. 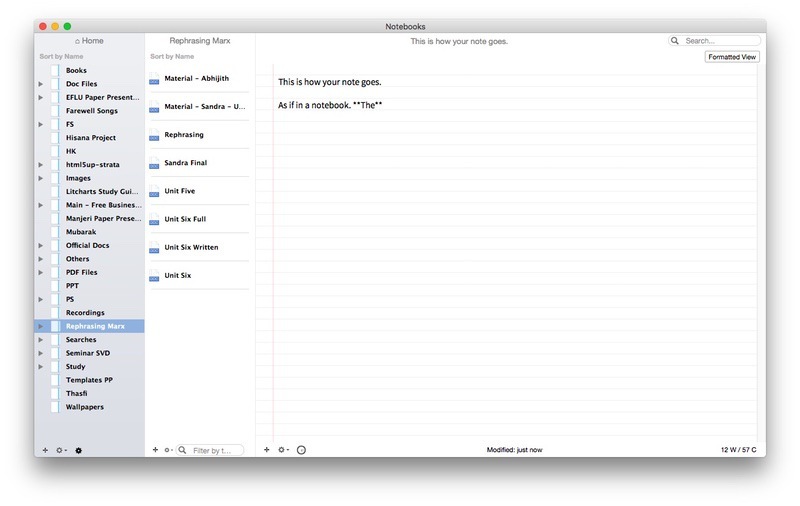 Notebooks is available for macOS, iOS and Windows. As mentioned earlier, iOS and macOS can sync writings using the Notebooks server, while Windows users have to rely on Dropbox. Notebooks for Mac comes with a fixed price-tag of $19, and they have some deals if you purchase both Windows and Mac. On all versions, there is a 30-day trial. ProWritingAid says it can be your writing coach and mentor. We think that’s possible only when you have to stay strict to grammar, syntax, diction and style. At the same time, it doesn’t become an alternative to Word or Pages either. But, when you need a kind of simple writing app with grammar-check support, you can count it in. Do you remember the design of the old versions of Microsoft Word? Well, ProWritingAid pretty much does the same. There is a toolbar with all the options, and you can click on one to see the details on the sidebar. Coming to the USP, it’s the fully-fledged options for editing, proofreading and grammar-check. ProWritingAid can also check aspects like diction, style, readability and more. ProWritingAid offers the standard workflow compared to other options. Apart from the toolbar on the top, there isn’t anything to distract you. However, features like Focus Mode would have been awesome, since the app doesn’t offer real-time editing. It gets even worse in the exporting department. You can save your writings only as TXT files, not even PDF. Once again, ProWritingAid keeps its mediocrity. Of course, you can take manual backups all your works in the local storage. There aren’t any other options, not even multi-device sync. At this point, ProWritingAid is one of the worst editing tools you can get. Of course, there is an Auto-save option, but the minimum interval time is 1 minute. ProWritingAid is primarily web-based and the single subscription gives you access to Mac, Windows apps as well as popular writing tools like Word and Google Docs. The subscription costs $50 a year, and the lifetime plan priced at $175. There is also a Premium Plus plan where you get Plagiarism check. However, for this, it charges something extra, based on the checks you need. 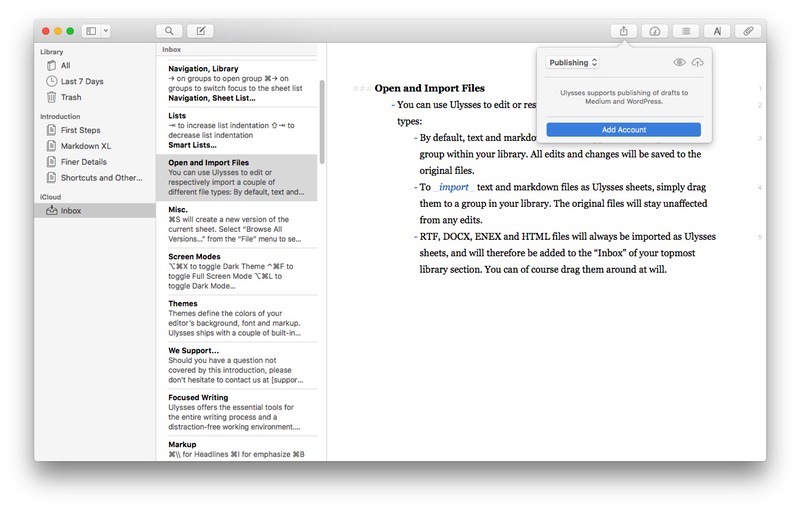 Vellum is a wonderful Mac writing app for writing books — full-length books with multiple chapters. It does not matter whether you are publishing print or digital, you can count in Vellum. Don’t even think about using the program for blog writing or research paper writing, though. What matters is that it packs superb stability along with minimal design. Despite the wonderful features under the hood, Vellum has kept everything minimal. Customization is not a strong area of the tool, but you can manage. If you don’t need the Preview and Navigator while writing, you can have a rather simple writing interface too. The best thing about Vellum is that it packs everything you’d need from the start to the end of the book you’re writing. 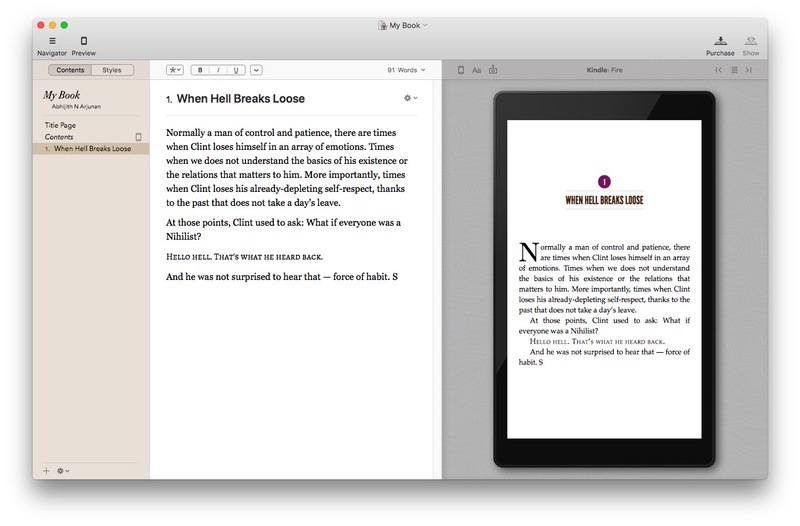 This might sound a bit weird: even if you don’t like to write a book, Vellum will make that awesome. Its easy workflow is so cool that you can start writing in the first step. You can also choose from different templates for Chapter Title, First Paragraph, Captions etc. Coming to exporting section, Vellum lets you save the file to Kindle, iBooks, Nook, Kobo and Android. You can also export it to print. Vellum does not offer any feature in this department. The bigger problem here is that it does not even have auto-save functionality. To be frank, this is the only area where Vellum disappoints users. If anything happens to your Mac, your unsaved data will be lost. We really wish Vellum does something here. As of now, Vellum is available for macOS only. Concerning the price, things are a bit detailed. 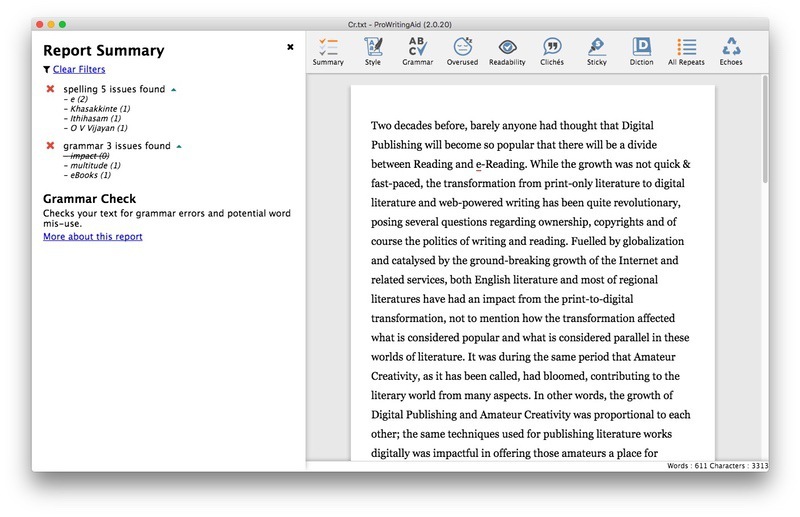 While Vellum is completely free to download and use, you need the premium license to generate books, in any format. In that case, you have two options. There is a plan for $249.99 that lets you create unlimited eBooks as well as paperbacks. Its $199.99 plan lets you create unlimited eBooks only. Now that you have seen the ultimate showdown of writing apps for Mac, it’s time to decide. It’s quite hard to find the so-called best one from this list. But, we can recommend some quick options. And, if you can compromise better control and features for grammar check, ProWritingAid is good too. This is what we think, and we are eager to know your opinion about these tools.